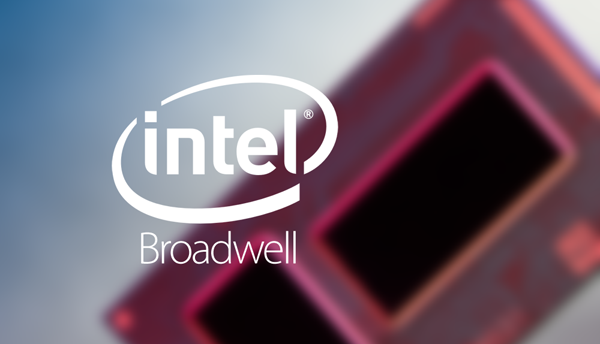 Intel announced the next generation in its processor lineup – the Broadwell series – which will ship for most Macs by early-to-mid 2015, but somewhere along the way, the company unveiled a new lineup of Broadwell processors by the name of Core M, a couple of months back. These chips stand out of the crowd due to being ultra-low-power, and will run at mere 4.5 watts. Their intended use? The next generation of fanless PCs and tablets, including the rumored (and highly anticipated) 12-inch MacBook Air that might sport a Retina display, and slated for 2015 release. The first Core M chips released ran at a base clock speed of 800MHz, and turbo with speeds up to 2GHz. Another option launched back in September this year had a base frequency of 1.1GHz and turbo up to 2.6GHz. However, since then, Intel has added number of other options and configurations to its Core M lineup, including more powerful chips with more powerful graphics chipsets onboard, and higher turbo speeds for resource intensive tasks. Some of the newer chips are expected to have been under testing by Apple for the 12-inch MacBook Air with Retina display, and are rumored to have base speeds between 800MHz to 1.2GHz tops, while turbo will push the lowest one to 2GHz, while the 1.2GHz clock speed will see a rise up to 2.9GHz. All these processor models will carry dual core processors with 4 threads, 4MB of L3 Cache and Intel HD 5300 graphics across the board, while the GPU frequency will vary between 300/850 MHz to 300/900 MHz, depending on the Core M chip model. Technical specs aside, the real-world performance of the Core M chip has been somewhat unimpressive, to be modest. Lenovo Yoga 3 Pro was the first device out there to make use of Core M Broadwell processors, and it failed to leave a mark. However, a lot of critics also believe that the drop in performance is not as much related to the chip as it has to do with Lenovo’s design and implantation choices, which hamper performance. Either way, if Apple has been testing these out for its 12-inch MacBook Air, I’d assume they’d have noticed some potential in these chips; otherwise, they might have looked elsewhere quite some time away. Still, we’ll see the real deal behind Core M once some benchmarking results pour in. Until then, it’s spec sheet and speculation. I think Skylake Processors are much more tempting than these though.